I have added a link to Amy's Blogger Festival. 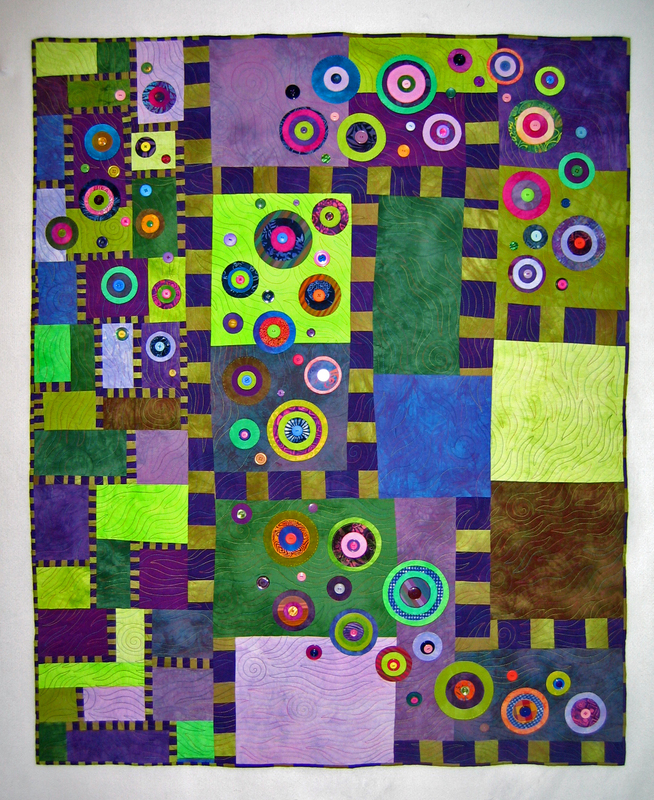 I have chosen my art quilt Crop Circles to the List of quilts. I feel I learned a lot making this quilt. I used mostly my hand dyed fabric and used free form cutting (no ruler) make it. I had to really think about how the parts were going together. I knew I wanted to make fields with the circles on it but also wanted to make it pleasing to look at. It was what I call a brain buster. It took my months to do. I have left my images very large so you can view the details. Techniques: Custom Machine Quilted on Longarm Machine, Hand and Machine Appliqued, Button Embellishment, Binding is multi pieced to repeat inner part. wow, that is such a beautiful quilt! I love it. That's a very ingenious design, and I can tell a lot of work went into it. The colors are perfect, too. 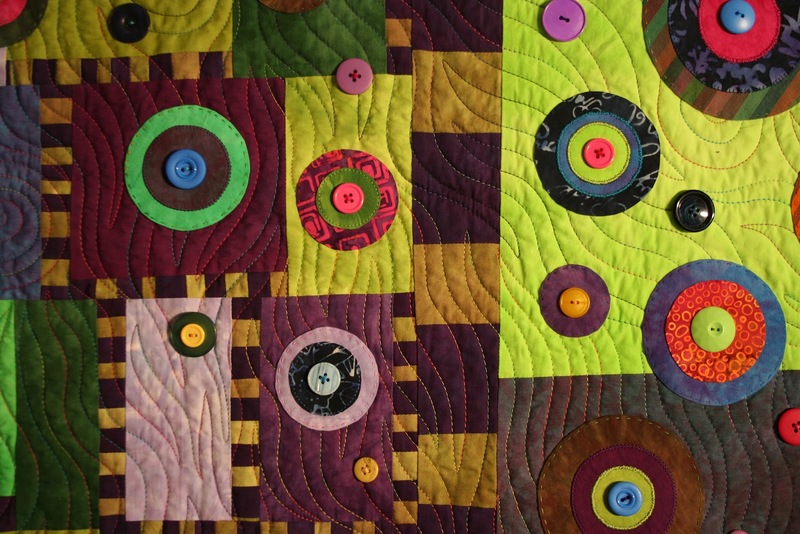 What an interesting and meaningful quilt! I love the colors you have chosen. WOW! this is fantastic! Love the colors and the design. You are very creative! Love that you dye your own fabric - lovely! These colors caught my eye in an instant! Love love love the color choice and arrangement!!! Congratulations..it looks like a winner to me! I love the design and the colours that you have chosen. Love your original design. 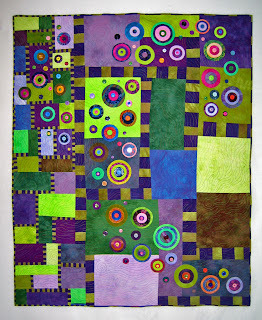 I have always been drawn to circles your quilt uses them so well.